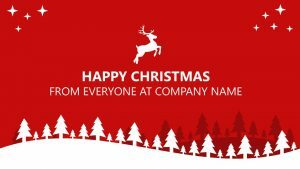 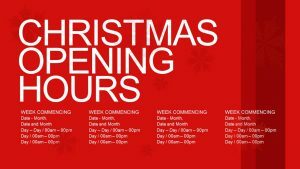 Make clear what your holiday hours are to the company this year with the Holiday Season Opening Hours. 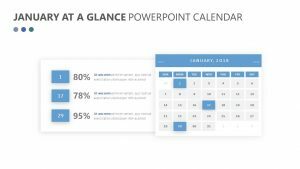 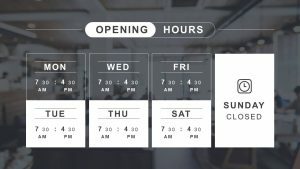 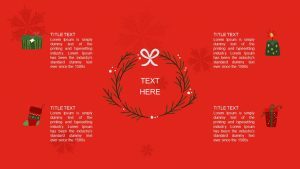 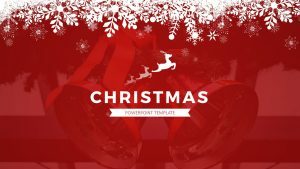 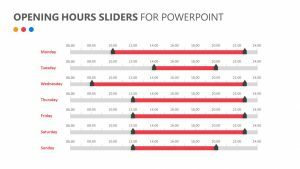 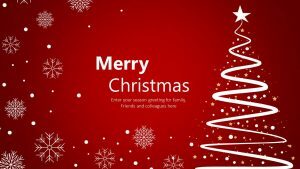 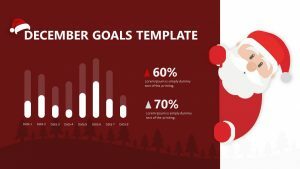 The Holiday Season Opening Hours is a single PowerPoint slide that is fully editable and customizable from the text to the colors. 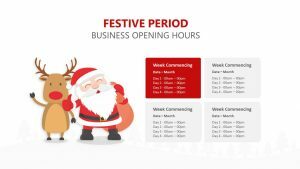 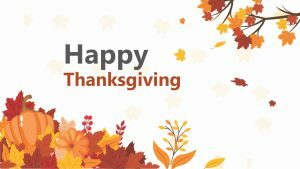 On this slide, you can discuss your holiday hours in four different instances, making it a comprehensive slide that allows you to cover all of the holidays and holiday weeks your company observes. 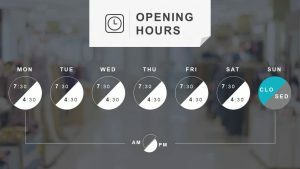 There are four columns with room for information such as the week commencing, the date, the month and the hours that the company is open for five days of the work week.